Ferrets have an undeserved reputation as smelly, bitey, trouser-climbing animals. The truth is that just like cats, ferrets are clean with an inoffensive musky odour, and are well-behaved if socialised. Also just like cats, they are easy to feed, form strong bonds to their owners and can be easily toilet-trained. 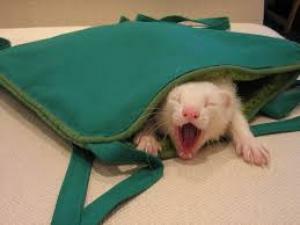 It is possible to buy high quality ferret-specific foods, but most owners use premium kitten foods. We recommend Hills Science Diet kitten. 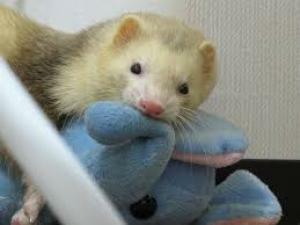 Once ferrets get to middle age, it is usually possible to switch to adult foods, especially those with dental care. Ferrets also enjoy raw chicken wings or necks but you will need to remove the remains within a few hours in warm weather. To have a socialised ferret requires daily gentle handling from as early an age as possible. 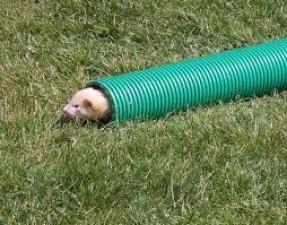 A ferret left in a cage or hutch will never learn how to properly enjoy human company. The joy of keeping ferrets is their incredibly inquisitive and active nature, which you will only get to enjoy if they can be handled. Just like puppies, it’s a good idea to use appropriate chew toys instead of your hands when playing, but also be careful leaving toys; ferrets are renowned for swallowing foam or rubber. Ferrets extreme inquisitiveness means they should never be free to roam without direct supervision. They will disappear into the smallest spaces like ducts, drains, under the stove or refrigerator, behind cupboards etc. They often dig their way into the padding of lounge chairs and can chew electrical cords or other household items. All these behaviours are not just annoying to the householder but very dangerous to the ferret. Ferret owners need to buy or construct a large and secure cage or aviary with enough space to exercise, play, toilet, eat and sleep. This is where they live for most of the day which is why it is vital they are taken out regularly into the house and garden. They also need lots or amusements especially consisting of things they can climb over, go through or burrow under. If the cage is outside, it should be brought inside in hot weather to prevent heatstroke, and have a cosy enclosed sleeping area for cold conditions. Two ferrets are happier than one. If you think you will get a second ferret, the best time to do it is while both are young as it can be very difficult to introduce adult ferrets to each other. One word of warning though: ferret play looks very rough and it can be hard to tell if it’s all in fun. 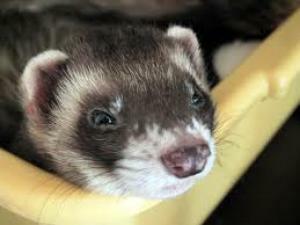 To toilet train a ferret, place a litter tray in the place where you notice them already using, adding some of their faeces. 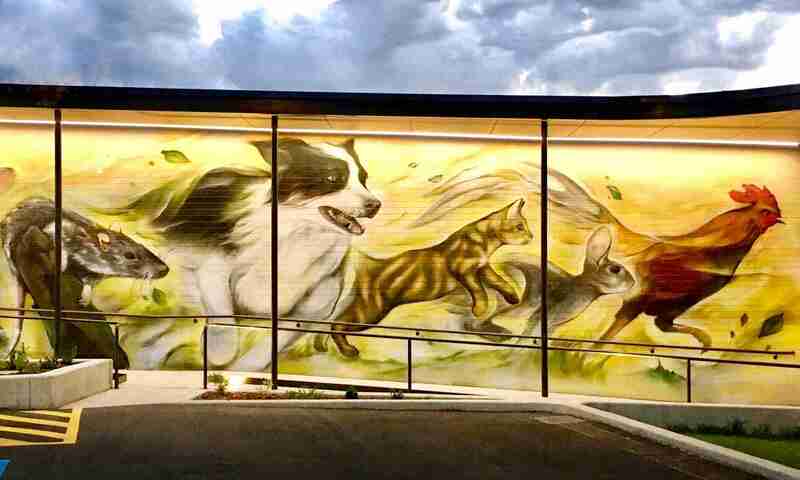 This can be the corner of their cage or the corners of the rooms where they are allowed out. Usually the habit of using the tray forms quickly without extra effort.